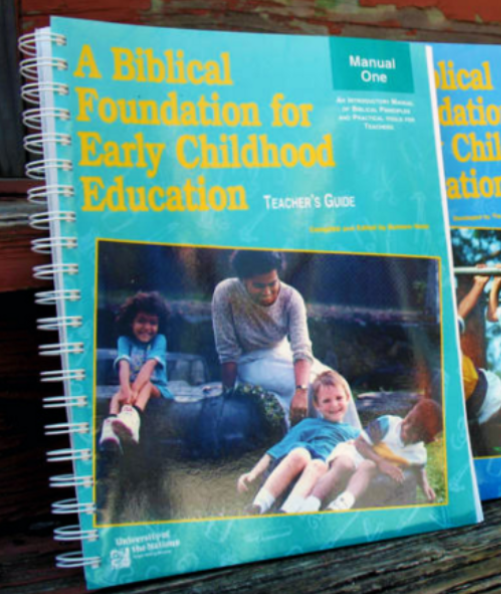 A Biblical Foundation for Early Childhood Education, created to speak to the heart of a young child, was published by YWAM's University of the Nations. Barb Nizza directed the publishing project and continues its oversight and distribution from the YWAM Ozarks campus. A Biblical Foundation for Early Childhood Education is designed for those who believe children can know God and for those who want to lead them into that very meaningful relationship. For a downloadable form of the preschool curriculum, you can go to collegeofedu.com. Forty-two complete teaching units in three manuals, each rooted in the character of God. Manual 5 is titled “Training in Righteousness,” and functions as a classroom handbook designed to lead children to the Scriptures when having behavior difficulties. How Many Teaching Themes are in The Curriculum? 42 Units. Each theme, or unit, is based on a biblical principle that transcends culture or fads. What age level does it cover? It has been designed primarily for children ages three, four, five, and six. Some teachers have used the principles outlined in the units to adapt for older children. Can this be used in a Sunday School or home-school? The curriculum layout allows for easy adaptation to different formats and teaching venues. 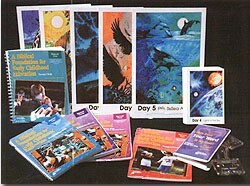 Its design of five days’ worth of lessons for each of the 42 units, or themes, can be shortened or extended according to the particular group of children. Do the teaching manuals correspond to different ages of preschoolers? No. The same unit can be taught to a 3 year old, a 4 year old, and a 5 year old. So if a child is in your preschool for three years, he may hear lessons from units three times. But at this stage of his life, the repetition only serves to reinforce the principles and add confidence to his learning. How can I teach all 42 units in my school year? You probably won’t get through all of them in a year. So the second year you teach, you can pick some new units that were missed the previous year. The curriculum is intended to give you more than what you might be able to use.